I personally like natural ears however if I were to I'd talk 1. to the breeder (if they are reputable show breeders they will know this) or 2. contact your local boxer club like https://www.americanboxerclub.org/Mid-WestBoxerClub/ and someone there should be able to point you in the right direction. Welcome to the forum and we love pictures. I have had both and I would say this...be sure you do your research on how much work is often required to make the ears "stand". 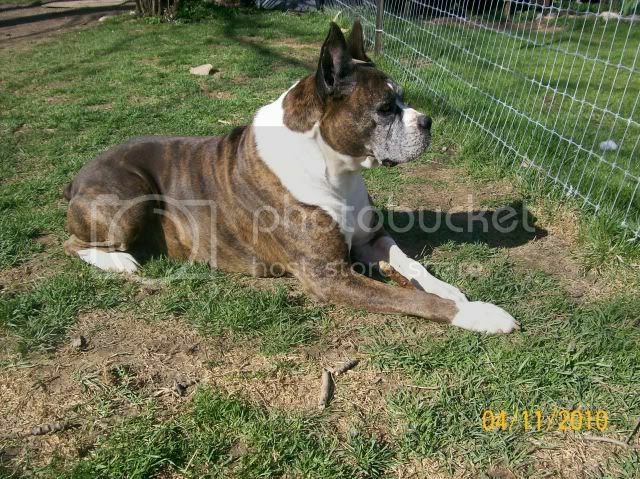 It depends on the leather of the ear, some dogs have thick cartilage which makes it easier. Others require "posting" of the ears for weeks or even months. Occasionally you'll get a dog with one ear that stands and one that won't no matter what you do. Sounds like you are headed in the right direction by asking your breeder or vet who they would recommend just be prepared for the work that comes with it. It is a lot of work but totally worth it. I suggest you get the “show crop “. It’s a longer crop.